In October 2nd, 2018, NVIDIA – BINUS AI R&D Center held a full-day Deep Learning Institute (DLI) Ambassador Workshop in collaboration with STIPER Agriculture Institute. 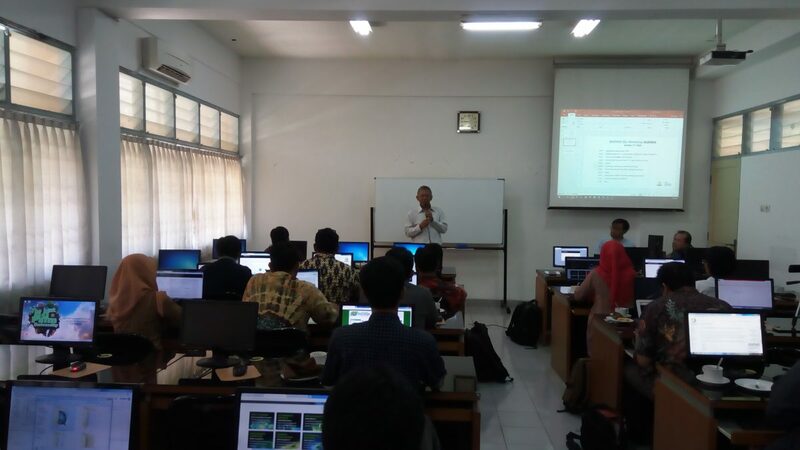 This workshop was held to introduce Artificial Intelligence for academics and student in agriculture area. This workshop was opened by Dr. Ir. Harsawardana, M.Eng., Academic Vice Rector of STIPER Agriculture Institute. After the opening speech, Dr. Bens Pardamean, Head of AI R&D Center, elaborated the activities in AI R&D Center. 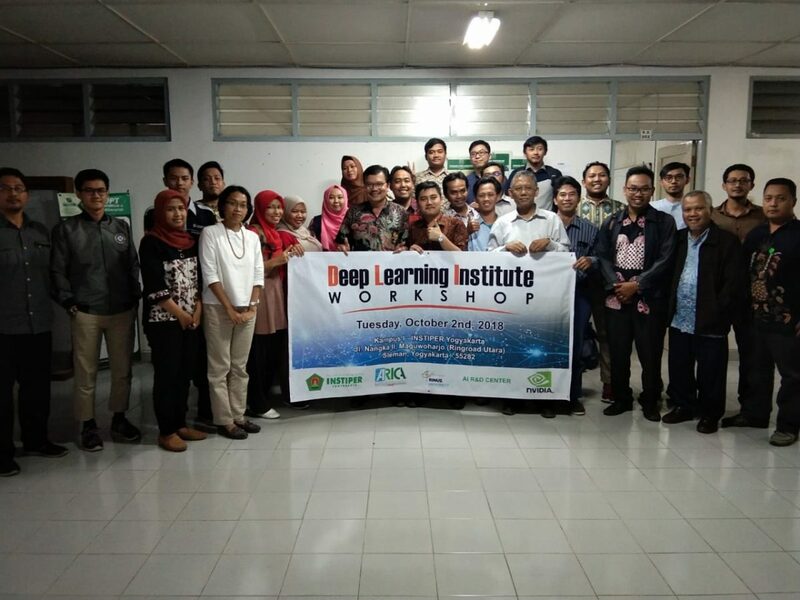 This workshop is the first workshop in Indonesia that uses new training platform from NVIDIA Deep Learning Institute. 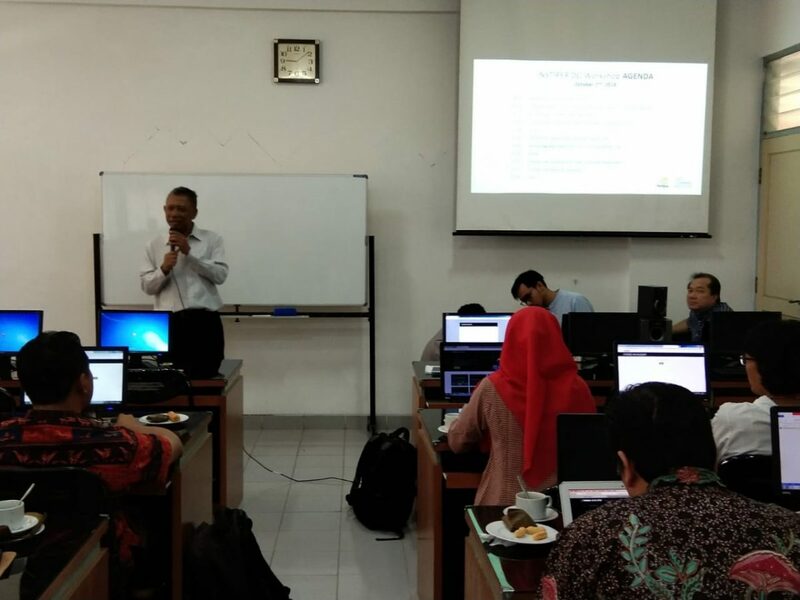 The first session of this workshop was presented by Arif Budiarto, S.Kom, M.Sc, NVIDIA DLI Certified Instructor from BINUS AI R&D Center. This session was about the current state of AI and the intuition about how AI works. The session was continued by a hands on to classify dog images using Deep Learning, the current state-of-the-art AI algorithm. 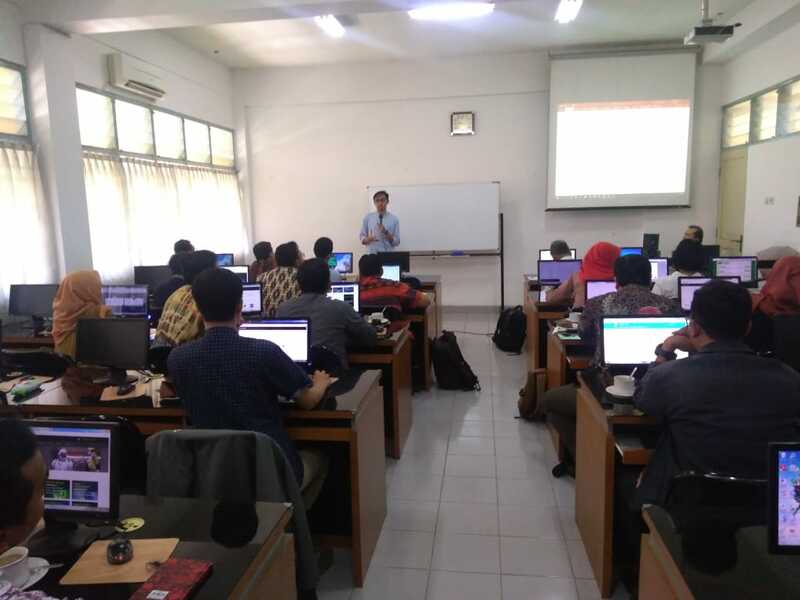 In the second session, the participants took three self-paced labs for a comprehensive knowledge of Deep Learning workflow. 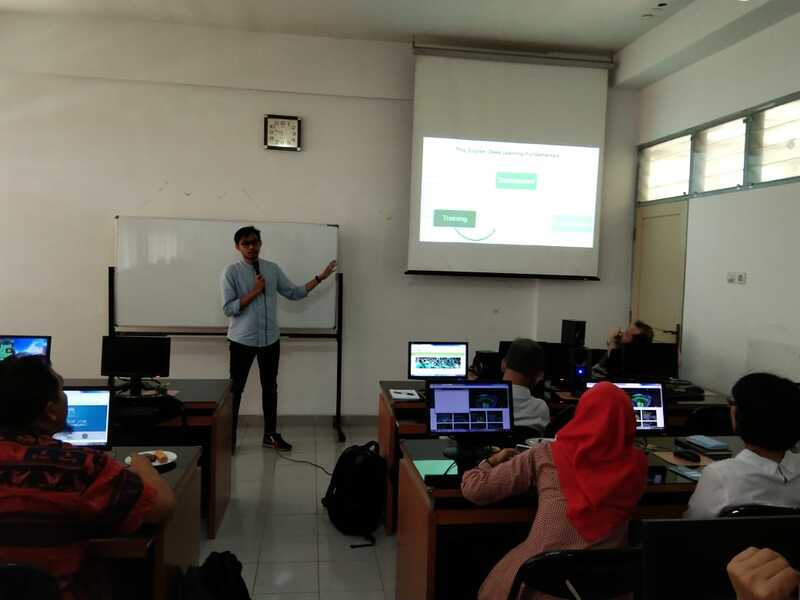 This session was guided by Tjeng Wawan Cenggoro, S.Kom, M.TI, another NVIDIA DLI Certified Instructor from BINUS AI R&D Center. 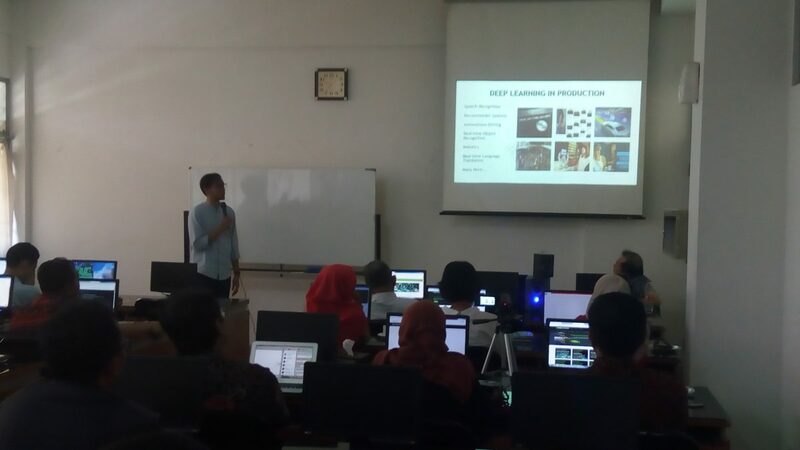 The first lab was about deploying Deep Learning algorithm in real world. 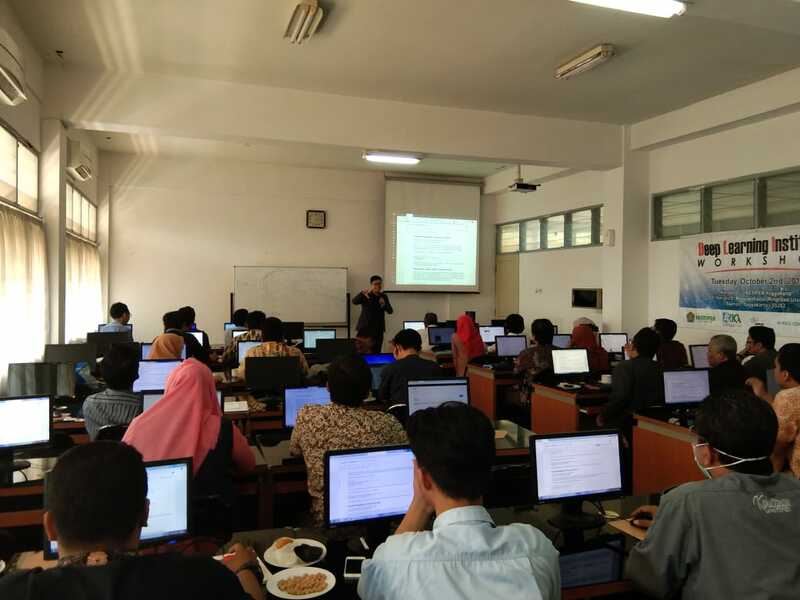 In the second lab, the participants was introduced to several strategies for improving Deep Learning performance. 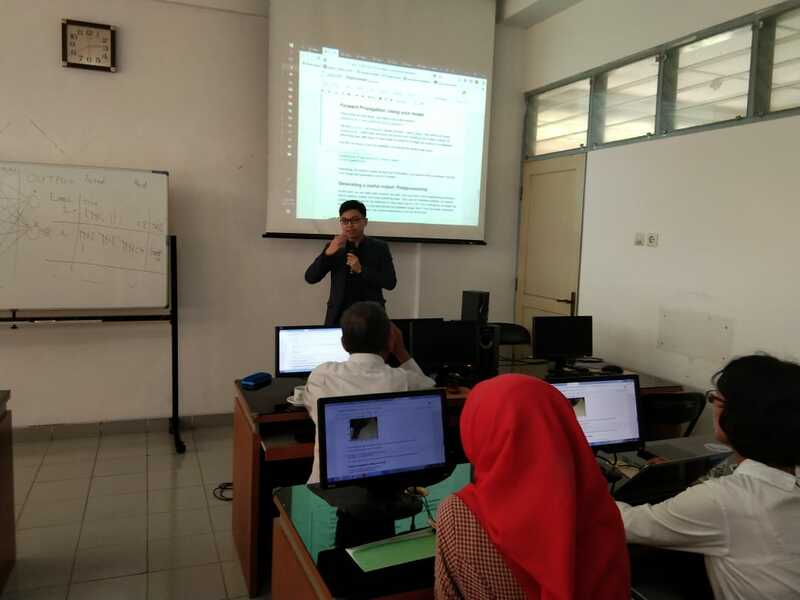 In the last lab, the participants learn how to tinker Deep Learning architecture for object detection case.